Space Invaders Holiday Sweater: Pew Pew Pew! 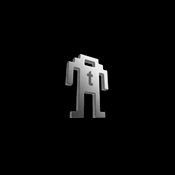 Destroy the brigade of rapidly moving aliens before they mow down your bases! 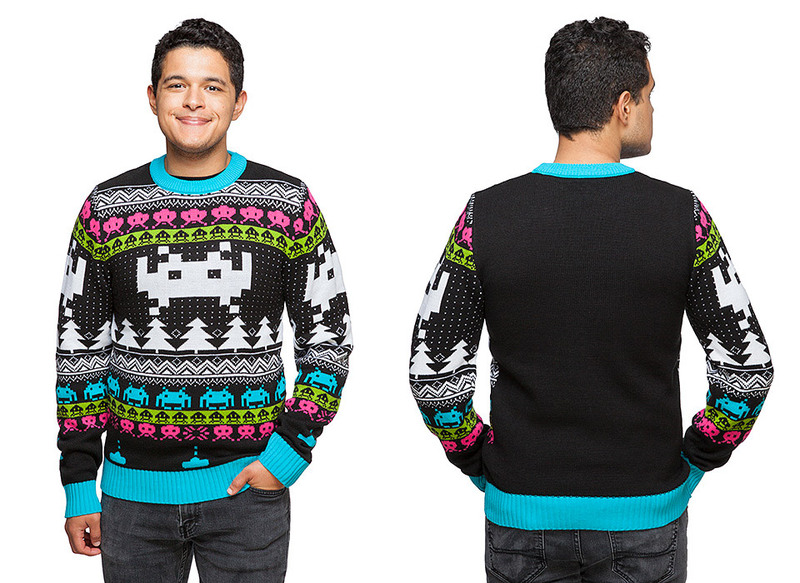 With this festive Space Invaders sweater, you’ll be equipped to blast blocky 8-bit invaders with your laser cannon everywhere you go. 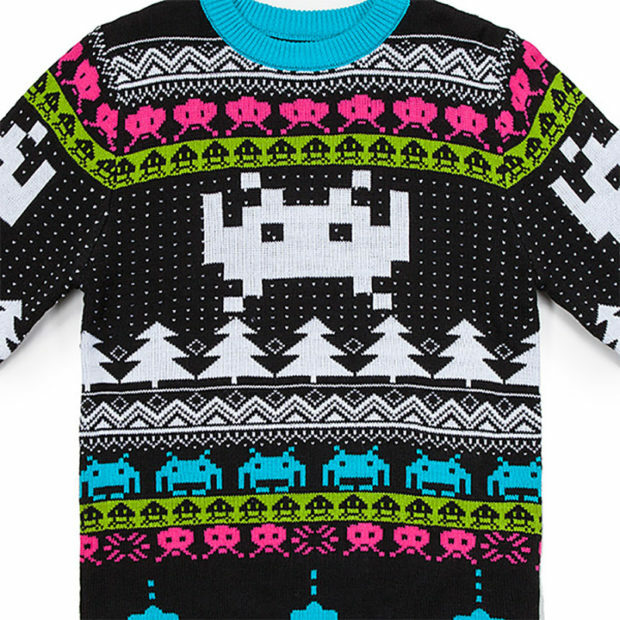 So increase speed, drop down, and reverse direction over to ThinkGeek now, where you can grab the Space Invaders holiday sweater for $49.99.